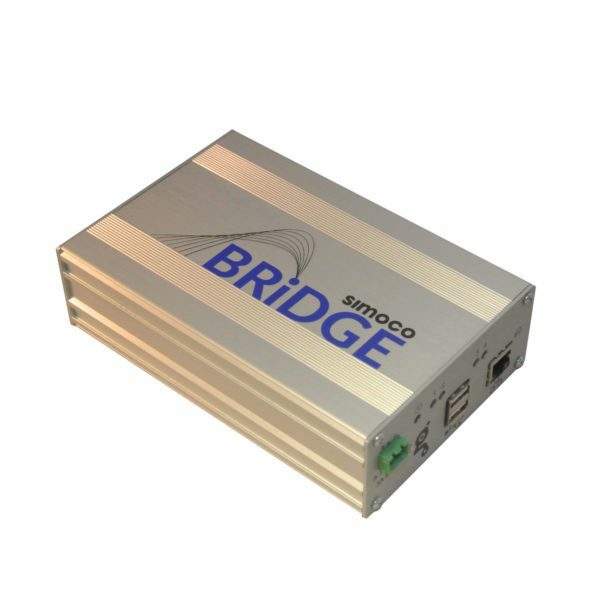 The Simoco Bridge gateway allows organisations to add a range of addition functionality to a digital mobile radio network, enabling a unified approach to communities. From text messaging and email services to advanced applications, including alarm system and IoT integrations, the Simoco Bridge delivers services that help to drive operational efficiencies through integrated voice and data capabilities. Network users are able to carry just one device to support all communications requirements, ensuring greater connectivity and faster response times in a variety of situations. The flexibility and functionality of the Xfin Blade System extends to the Xfin IP Dispatcher. Xfin IP connectivity enables Dispatcher functionality to be software controlled from a standard LAN connected PC. The software package creates a feature rich intuitive GUI that aids effective and rapid call handling. Call stack information is presented on the main screen offering visual indication of all incoming calls. Colour coding of call details in three categories: emergency, priority, normal means that Dispatcher staff can prioritise the most important traffic. Peer to Peer IP connectivity and group working enables calls to be presented on multiple dispatch terminals simultaneously with dynamic call status updates as calls are dispatched. Xfin Dispatcher Team Working enables each Dispatcher to be allocated to a team or ‘COLLEGE’ regardless of their physical location. 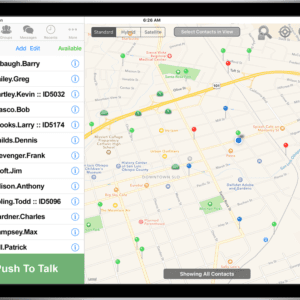 Each Team or College, with specific screen profile and call stack enables you to target specific traffic to particular dispatcher teams. Dynamic group function enables the spontaneous creation of groups on request. What’s more, with IP connectivity and distributed database technology, Dispatchers can be located anywhere there is a network connection, enabling cost effective remote working and disaster recovery solutions. 30 days trials are available with up to 6 users per customer. Please contact using Note ‘b’ below for trial approval and provisioning as well as for new accounts. Simoco's Push* is an LMR over the internet and group talk app. It adds to your Android and iPhone/iPad device the functionality of a cost-effective, secure and real-time Push to Talk over Cellular device, group text and Multimedia (images) messaging device and location tracker. Our Radio over Phone and Push to Talk Android, iPhone and iPad apps work at all places wherever there is wireless broadband network connection provision including PTT over WiFi, 3G and LTE and when its Push app server has been implemented in the Internet Cloud or physical premises (Customer or Simoco premises). 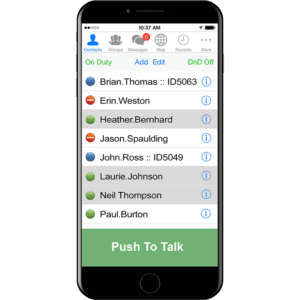 The Push app is a Smartphone Walkie Talkie app and provides senior management, emergency services, operational, security, logistics and administrative staff with access to advanced instant group communication and information. This is made possible by integrating the Push app's PTT over UMTS, HSPA and 4G cellular and Wi-Fi with DMR networks to deliver seamless instant PTT communication, group messaging and historical breadcrumbs location tracking. Push two-way radio app can also be used even if a DMR network is not integrated using AIS Gateway with the Push server. In this case, the devices in use in the network will only be Smartphones. Push server will still be required to serve the app. RoIP interface can be used to connect the radio network with other radio networks and the SIPREC interface can be utilised to integrate voice logging recorders. Due to being available on both Android and Apple iOS platforms, there is extensive range of Android, Apple iPhone and iPad end-user devices that are available and are aligned to the user's work requirements. Simoco Push app can be downloaded from Google Play and Apple App Store by searching for Push. 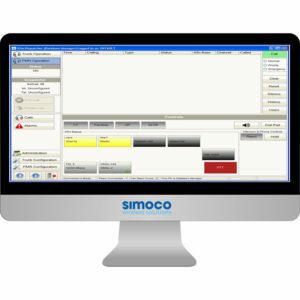 Push PoC app is activated remotely to work by Simoco Wireless Solutions after signing a contract. The Push Smartphone PTT Radio app may use your location even when it is not open and it may decrease the device battery life. Xfin Base Soft Dispatcher is a PC application that can run on a standard personal computer. It provides both dynamic call handling and Base station switching functionality in a single IP based application. In excess of 50 Dispatchers on a network where each can dynamically monitor and control up to 12 Base stations simultaneously from a simple to use and intuitive, PC based user interface. Each Base station can handle up to 12 concurrent dispatcher connections on numerous sites. Status and activity, with the functionality to initiate calls and set up talk through conversations at the click of a mouse or touch screen. Peer to peer IP connectivity means that all operators can view and monitor calls anywhere on the radio system and even check base station receive signal strength. What’s more with IP connectivity and distributed database technology, Dispatchers can be located anywhere there is a network connection enabling cost effective remote working and disaster recovery options. Initial release functionality addresses core voice calling features, however, later software releases will extend functionality to include Selcall signalling, radio to telephone, and dispatcher to telephone interconnection in addition to dispatcher to dispatcher interconnection. Application Builder - The advanced application builder provides you with a set of powerful tools to create and edit workflows, allowing you to convert your requirements into the perfect working solution. 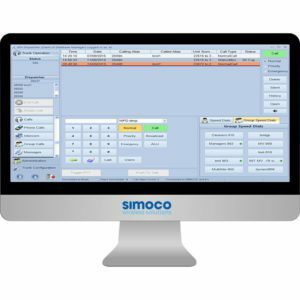 Alarm Handler - The Simoco Bridge Alarm Handler connects to any alarm system, be it fire, intruder, nurse call or other system via RS232/hard wired input, enabling communication to digital radio networks, SMS messaging and email. Livetrack - is a fully-featured and versatile stand-alone AVL solution, totally browser based, with no need for any installation or bespoke software. It provides all the means required to track and control DMR-based mobile, portable and fixed. Lone Worker - allows you to check users who may be in an environment that requires monitoring. Users can set their own check-up time, allowing the Bridge to make sure they are safe. Our implementation of lone worker is BS8484 compliant.